Janis Meyer focuses her practice on professional responsibility, risk management and professional liability law, with particular emphasis on attorneys and law firms. Having served as the general counsel of a global firm, Ms. Meyer is familiar with a broad spectrum of professional liability, human resource, and other risk management issues arising in law firms. During her career, Ms. Meyer has also represented and advised clients in a variety of industries, including banking, financial products and insurance. Ms. Meyer began her legal career at White & Case, where she was an associate and then partner in the Litigation Department. Prior to joining Hinshaw & Culbertson in January 2015, she was a partner and the General Counsel of Dewey & LeBoeuf and its predecessor, Dewey Ballantine. She was a member of the two-person wind-down committee that oversaw Dewey & LeBoeuf's bankruptcy filing in 2012 and the subsequent wind-down of the firm. Ms. Meyer is a Special Professor of Law at The Maurice A. Deane School of Law at Hofstra University where she teaches "The Practical Aspects of Lawyering" and Legal Ethics. Ms. Meyer clerked for the Honorable George C. Pratt in the United States District Court for the Eastern District of New York and the United States Court of Appeals for the Second Circuit. "Regulation of the Legal Profession in the United States: Overview," Regulation of the Legal Profession Global Guide, April 1, 2017. "No Good Deed Goes Unpunished: What to Do When Your Client wants to Make A Bequest to Your Favorite Charity," ABA/BNA Lawyers' Manual on Professional Conduct, 32 Law Man. Prof. Conduct 751, December 28, 2016. "How To Close A Law Firm — Practically And Ethically," Law 360, July 11, 2016. "The Panama Papers—An Incentive for 'Spring Cleaning'," New York Law Journal, June 2016. "Hygiene for Escrow Accounts: Time for a Checkup?," The New York Legal Ethics Reporter, January 2015. "The Law Firm Records Burden: Tips for Clearing the Warehouse," The Professional Lawyer (ABA), 2014. "Expenses and Disbursements," Chapter 15 co-author, "Successful Partnering Between Inside and Outside Counsel," West, 2011 and 2000. Commentary, Fed. R. Civ. Pro. 45, "The Practice Commentaries Series," 28 U. S. C. §§ 1781, 1782, 1783, NITA (2001). 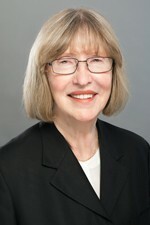 Hofstra University, Board of Trustees, Member (1993-present), Chair (2011-2014). Hofstra University-Northwell Medical School Joint Board of Overseers, Member (2011- Present), Co-Chair (2011-2014).